I’m pleased to introduce a guest blogger today. Chandra Hoffman received her MFA from Antioch University in 2007. Her current book, CHOSEN, features a young caseworker increasingly entangled in the lives of the adoptive and birth parents she represents, and who faces life-altering choices when an extortion attempt goes horribly wrong. Would You Like to Take a Look at My Dinosaur Book? There is a story in my family's folklore about my oldest brother's first day of school—the lone time my mild-mannered, kid-loving father wanted to smash some six-year-old skull. My brother was a slightly geeky type, a skinny-necked proficient reader from the age of two who stepped on to the playground that September morning with an encyclopedia about dinosaurs he had memorized tucked under his arm. My father watched anxiously as my brother approached clusters of children and asked, with a hopeful lilt to his voice, if they would like to take a look at his dinosaur book? The story goes that the kids were not mean, just preoccupied with monkey bars and chucking sand, but my brother's requests went ignored. This stirred a zealous rage in my father, even as he talks about it now, the angst of a parent as their child ventures out into the world to lukewarm reception. In his words, "I wanted to grab those kids by their little chicken necks and pin them up against the bricks and hiss that they'd look at his damn dinosaur book, and they'd better like it, understand?" I experienced something similar when my younger sister was on the outside of a bitchy, sixth-grade classroom clique-fest--a crazed hunger to prowl the town by moonlight and sniff out these mean-spirited girls, eviscerate them slowly with all a mother bear's fury. In our family, we call these Mattress Moments, based on the horse race in Siena called the Palio, where riders and horses are protected from their treacherous turns in dashes around the town's plaza by the residents' mattresses. That is how I show love--protecting my darlings from life's sharp corners and painful falls, taking it all in my super-absorbent springs. And now this fall another of my children heads out into the world, only this time it's my paper and ink baby, my newborn novel. I'm experiencing spasms of that same anxious protectiveness. But for what? This is not my oldest son who is small and speaks differently or my middle boy who hides his insecurities behind fists and teeth or my baby girl with her withering Ice Queen stare. This is a book, a story, and although the characters are dear to me, they are their own imaginary entities. My protagonists won't scour the two-star reviews at Amazon to find out exactly what makes them unsympathetic, unlovable or clichéd. Am I afraid for myself, then, the ego of the artist? I don't think so. I have a pretty healthy self-esteem, a confidence in my ability as a storyteller and I am proud of this novel. But nobody likes to be misunderstood. Pre-publication, I have received beautiful jacket blurbs from respected writers, fabulous Kirkus and Booklist reviews, but one day this past July I tripped out of the starting gate with a mediocre one from Publisher’s Weekly. You can see this review here, and unfortunately, on every major bookseller's summary for CHOSEN. "Mom?" he interrupted me. "I like the size I am. I fit perfectly inside the hockey net when I'm in goal. It's not my problem if someone wants to make themselves feel better by calling names." Of course he is right. When a critic calls my beloved characters 'weakly realized’, or my debut novel an ‘inexpert exercise’, it is not my problem. Not every book is for everyone—I’ll confess that my boys and I have tried three times to get swept up in the Harry Potter hype without success. Never mind the naysayers. I’ll just steer my babies over towards the swings, where the kids seem a little friendlier, more open-minded, and see if there’s someone over there who might want to take a look at my dinosaur book. To learn more about Chandra Hoffman, visit her website. Visit amazon to learn more about and purchase the book. Registration is now open for the 3rd Annual Rochester Writers’ Conference at Oakland University in Rochester, Michigan for Saturday, October 2, 2010. Fiction and Non-fiction workshops, lectures, and panel discussions will be available, as well as business concepts every writer needs to know. Choose four out of a dozen presentations to tailor-fit your needs. Includes lunch, refreshments, and keynote address. The event offers the new or published writer a fun and educational day and plenty of time to network and meet the speakers. Everything is included for $99. I have to pass along this notice I received from Winter Wheat: The Mid-American Review Festival of Writing. 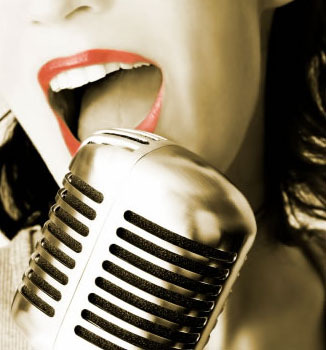 The editors/organizers are actively seeking session/panel proposals for the 2010 festival. The festival runs this November 11-13 and will take place on the campus of Bowling Green State University in Bowling Green, Ohio. The weekend will feature a bevy of awesome readers, including Gaylord Brewer, Andrew Ervin, Lola Haskins, Rebecca Meacham, and Pulitzer Prize-winning poet Carl Dennis. There will also be a bookfair to attend (or bring your journal or press to), as well as an AWP-style conference with sessions, lectures, and panels presented by MAR staff members, Bowling Green faculty, and Winter Wheat guests. To find out more information on Winter Wheat, to sign up for a table at the bookfair, or to propose a panel/session, contact Festival Coordinator Bess Winter at verysmallstories@gmail.com, or visit the link here. This is a free event, so share the word and I hope to see you there! I’m pleased to offer four 3-hour workshops this fall at Macomb Community College. In addition to this, I’m again leading an 8-week Intro to Creative Writing class, which will cover fiction, poetry, and creative non-fiction. I hope you’ll share the links with others and consider signing up for a workshop that interests you! Email me for more info. Or, download the print registration form and complete fall schedule here. 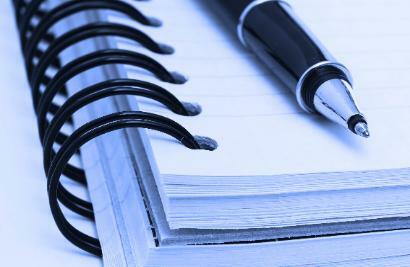 PDF of writing courses offered by MCC this fall: here. 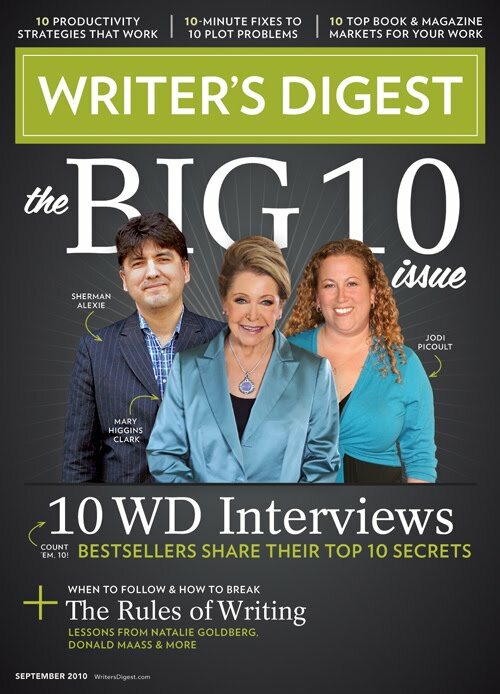 Whether you’re already in a creative writing program or knee-deep in research plans for the next academic year, I hope you’ll pick up the September issue of Writer’s Digest. I had the pleasure of penning the MFA Insider column with my article, “10 Tips for Maximizing Your MFA Experience” (page 20-21). Within the article, a handful of directors, faculty, students, and alumni share some of their top ideas for ways students can fully engage in and benefit from a two or three year program. Interviewees include Daniel Mueller (Iowa), Millicent Accardi (USC), Claudia Manley (Columbia), Jeanne Gassman (Vermont), Derek Alger (Columbia), Melissa Hart (Goddard), Valerie Wetlaufer (Florida State), Eileen Pollack (Michigan), and Judith Barrington (Alaska). 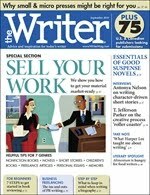 Have you seen the September issue of The Writer magazine? I’m thrilled to have not one, but two articles(!) 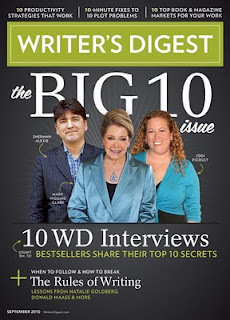 in this issue I hope will be useful to the write-minded. On page 10, I have a small piece on “Tips for starting your own literary journal,” in which I interview innovative go-getters like Aaron Burch (Hobart), Molly Gaudry (Willows Wept Review), and Jessie Carty (founding editor of Shape of a Box). If you’re considering a start-up of your own, check out what these pros have to say about their experiences. As my article on page 40 will demonstrate, good things come in small packages. “Micro presses off more opportunities” includes wisdom from editors and authors experienced with small, boutique presses: Kevin Morgan Watson (editor/publisher: Press 53), Christian Peet (founding editor: Tarpaulin Sky), Cat Spydell (publisher: Mischievous Muse Press), Katerina Stoykova-Klemer (publisher: Accents Publishing), and author Kathy Alma Peterson (Propaganda Press and BlazeVox Books). Have a read through this piece. It’s amazing to see the great things “smaller” presses are accomplishing and sharing with their authors. And, now that my social media (and summer) vacation has wrapped up, it’s time to get back to work. There’s so much to share and update, I’m glad to be back on schedule. Speaking of which, I’m planning on posting to the blog twice a week this fall, on Tuesdays and Thursdays. I’ll continue to share literary news and events, interviews with authors and editors, and random calls for submission I find too-good-not-to-share. So, stay tuned. Finally, it was high time I update my website, being long overdue thanks to a massive to-do list. I’m pleased to say I have done so and you can now find a crazy list of events and workshops for the fall, updates about new releases and articles, and all other things writerly at http://www.loriamay.com/. Have a look and let me know what you think.